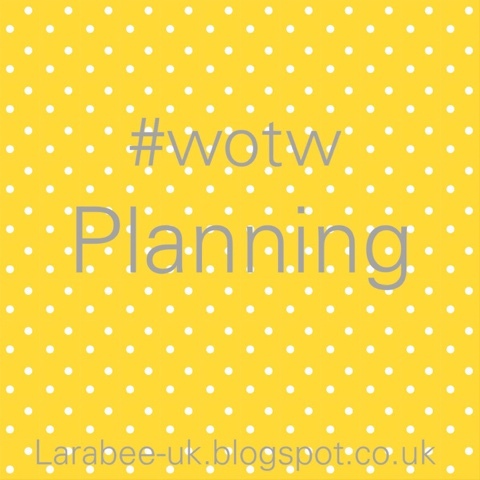 This week it's all about the planning! I should know as 70% of my job is planning (I'm a project manager & business analyst) for a goal, project or anything to succeed you need to plan...and execute...and review but do I do this for my blog? No, of course I don't, on a good week I do a little, a few days here and there. I love planning too. This week though I decided to give myself a kick up the backside, well actually it was finding out my first tots ranking which helped as I am determined to get my tots500 badge by the end of August. On that note, a massive well done and well deserved to Jocelyn for The Reading Residence's ranking this month! Then I found out I'd been nominated for 2 categories in the Mad awards - WHAT???? My little blog? It's madness but my goodness am I taking this one and savouring it. So anyway this week I created a plan and I've mostly kept to that plan and you know what? Surprise, surprise it saved me time, and kept me on track and..... saw my weekly blog stats double!!!! 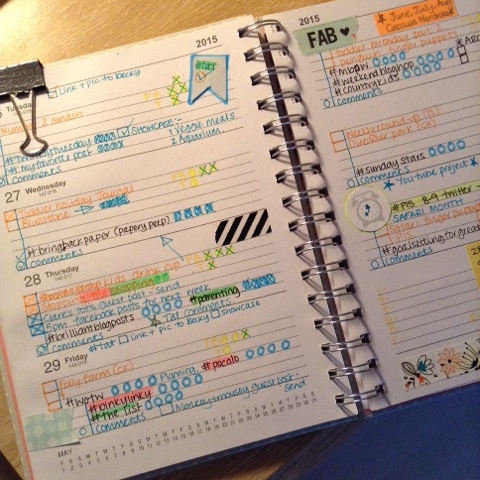 To anyone else my blog planner might look a little manic but it makes perfect sense to me, I love seeing 'used' pages. Yes I've changed things and I won't be publishing everything I planned at the beginning of the week, but that's fine because they are concious decisions, not just because I forgot! Good luck with the Tots score....You can do it!